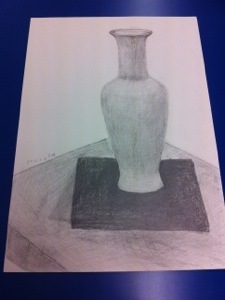 The egyptian pot was the second theme of the drawing class 3-4. It taught me how important to draw symmetry. The differences between the brights and the darks showed up in the surfaces which faces upsides or downsides.